There is great hullabaloo in the Indian media about the alleged discovery of highly sophisticated bugging devices planted in Transport Minister Nitin Gadkari’s residence on Teen Murti Marg. Many media mandarins and analysts are shocked by the revelation. To top it, there is no dearth of retired and serving Indian spymasters expressing surprise at this sudden but diplomatically rude narrative. Let us not forget the old adage that every criminal leaves his fingerprints, or footprints, behind. The same is true of spies and fifth columnists operating worldwide. 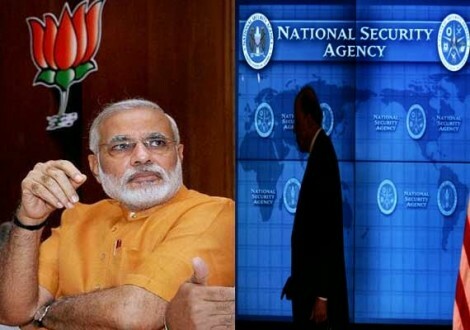 Indian sleuths, especially the Intelligence Bureau should have woken up to the damage likely to be caused by the espionage nest planted by the CIA as soon as Edward Snowden revealed on 1 July 2014, that the BJP had been included by America in the list of dangerous “Terror Club” of six international radical outfits, including Hamas and Muslim Brotherhood. ‘According to top-secret documents Snowden published through the Post on July 1, 2014, the US’ Foreign Intelligence Surveillance Act (FiSA) court gave the NSA the authority for conducting surveillance upon not only these six political parties but also a list of 193 foreign governments “ including India”. Only four countries were off-limits under this programme sanctioned by FISA. “The United States has long had broad no-spying arrangements with those four countries – Britain, Canada, Australia and New Zealand,” according to the Washington Post report. Among Indian political parties, the Bharatiya Janata Party (BJP) was the only one of the six non-US political parties across the globe that the National Security Agency received official permission in 2010 to covertly spy upon, according to the latest document released by former NSA contractor-turned whistle-blower, Edward Snowden. Modi was the Gujarat chief minister when the 2002 riots occurred and the US state department had invoked a little-known law passed in 1998 that makes foreign officials responsible for “severe violations of religious freedom” ineligible for visas to visit the United States of America. 1. The ban imposed by the American establishment in 2005 on granting Visa to Narendra Modi for visiting the USA under a little known law passed in 1998 which made foreign nationals responsible for “severe violations of religious freedom” ineligible for visa to visit the USA. 2. The serious import of Rahul Gandhi’s meeting with the US Ambassador, Timothey Roamer on 20 July 2009, alleging that Hindu radical groups posed a bigger threat to India’s integrity than the internationally notorious Lashkar-e-Taiba. And thereby hangs a tale. It needs to be emphasized that this interface between Rahul Gandhi and the US Ambassador had occurred barely eight months after 10 Pakistani commandos of the Lashkar laid siege to Mumbai for nearly three days and killed 166 innocents in a spectacular carnage displayed worldwide on 24/7 television channels. According to a reliable source (a deceased senior intelligence officer) the intimate tete a tete between the “prince” of the Congress and Timothy Roamer in July 2009, had been taped and sent to the USA. It is alleged that the explosive tape finally landed on the desk of the CIA chief who took the revelations as gospel truth. No wonder, soon the BJP was listed among the top six members of the international terrorist club and permission for spying on the members of BJP and RSS was taken under the US law in 2010, as revealed by Snowden, presently living a solitary existence in Russia. 3. Another clue to solve the puzzle might be found through an investigation into the political reasons due to which a handpicked senior officer was made Director, Intelligence Bureau, on the ground of his religion, and by bypassing four senior and more meritorious officers who happened to be Hindus. Apparently, this extraordinary decision was taken because the Hindu officers were considered unreliable and unfit for keeping a close watch on the so-called saffron terrorists. Another hidden reason for not considering any Hindu for the post of Director, I.B., might be the notoriously famous policy statement of Dr. Manmohan Singh on 9 December 2006, that henceforth the Muslims will have the first claim to India’s resources. 5. Yet another vital clue for the USA bringing the BJP under its surveillance might lie buried in the paradigm shift in the central government’s directive to the Intelligence Bureau to focus more on the so-called ‘saffron terror’ and go slow on Islamic jihadi outfits. It is a fact, that no bugging of houses in the national capital could be have been done even by the USA, without the knowledge and complicity of Indian intelligence agencies.